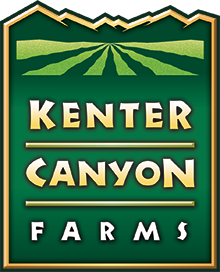 The Kenter Canyon Farms test kitchen is a busy place and at the heart of our operation. Our love of good food inspired us to become farmers in the first place and we strive to find simple recipes to showcase the bounty from our farm. Here are a few of our favorite things that may inspire some kitchen adventures. Our approach in the Kenter Canyon Farms test kitchen is to keep it simple, seasonal and let the ingredients do the work. In the deepest stretch of winter we can rely on the cheerful colors of heirloom radishes, the strong flavors of garlic, winter greens and prosciutto and the lively flavor of Meyer lemon to create a simple meal. In the spring we enjoy and abundance of small artichokes, green garlic, and spring onions and use up the last of our navel oranges. Heirloom tomatoes, peppers and Valencia oranges are piled high at farmers markets just waiting to be put to use in recipes like these summertime dishes. A Kenter Canyon Farms Thanksgiving dinner is open for interpretation. We have a commitment to use what we have raised on our farm and sometimes that includes a heritage turkey but more often we serve forth a vegetarian feast that showcases the bounty of southern California farming. Here are recipes from a favorite vegetarian Thanksgiving dinner that we produced for a little promotional video that our good partners at Whole Foods Market made for us. Arugula has personality and plenty of it. At Kenter Canyon Farms we offer several versions of this versatile plant, all washed and ready to use in your favorite recipe. Look for our wild arugula if you like a little heat and a little bite, and try the baby arugula for a milder peppery flavor. We also offer the mature leaf with a developed flavor and great texture and the pretty flowers that taste just like arugula but with a radish finish. At Kenter Canyon Farms we value the robust flavor and beauty of our leafy greens as well as the significant contribution they make to our overall health. Leafy greens are full of powerful antioxidants and phytonutrients and we offer two delicious ways to use them. People trying radicchio for the first time find it bitter and indeed, members of the chicory family are bitter. Bitter greens depend on the magic of good flavor pairings to reveal their potential. Salt, vinegar, strong flavors like blue cheese or garlic all contribute to the rounding out of the flavors. Also cooking mellows the bitterness to reveal a deep, sweet satisfaction. Here we offer two ways with radicchio. Kenter Canyon Farms is serious about romaine style lettuces. We grow organic Little Gem, Red Gem and Mini Romaine all year round and offer them as whole heads or table ready leafed salad blends. Kenter Canyon Farms organic spinach is washed and ready to use in 101 ways. Classic Greek salads, green smoothies and spinach pies are just a few options. This popular herb is probably best known as the star of the famous pesto sauce but it has an affinity for many other dishes. Try flavoring any tomato based dish, fresh or cooked, with a handful of freshly chopped basil. Use it lavishly without regret; try replacing the lettuce on your sandwiches with basil leaves. This delicate herb is used fresh and at the last moment before serving cooked foods. It pairs well with soft scrambled eggs and chopped fine it can be sprinkled over a plate of freshly made pasta with a drizzle of olive oil a pinch of sea salt for an unforgettable meal. Chives are best used fresh and impart a delicate onion flavor that will spark up sandwich spreads and scrambled eggs and give a baked potato the final flourish atop a mound of sour cream. In cooking add chopped chives at the last minute so that their delicate color and flavor remain clear. Kenter Canyon Farms organic dill is wonderful used in both fresh and cooked presentations. Boil potatoes with a bunch of dill in the water and serve them with a little butter and salt. Grains are redefined when cooked with a bunch of chopped dill and of course smoked and cured fish are lost without a sprig of fresh dill to balance their strong flavors. This pretty herb has a mild flavor and a heady perfume that works well in combination with tomato based sauces. Finely chopped marjoram adds a professional touch to homemade pizza when sprinkled over the top as the sizzling hot pizza is pulled from the oven. A refreshing stimulant, mint gives a lift without any caffeine. Mint adds a refreshing note when chopped and added to any salad or lightly cooked vegetable. Mint and lemon have an affinity for each other and make a terrific instant sauce for freshly cooked egg noodles. Round out the Mint lemon sauce with a pinch of sea salt, a grind of fresh black pepper and a drizzle of good olive oil for a simple and satisfying meal. Rosemary is a star performer in the Kenter Canyon Farms test kitchen. Larger branches can be stripped of their lower leaves and put to work as skewers by threading pieces of seasoned meat, fruit or vegetables onto them. The oils from the branch perfume the food as it’s grilled. Here we offer two simple ways with Rosemary, one sweet and one savory to highlight the versatility of this herb. Sage has musky, earthy flavor and pairs well with rich foods. Most famously used in Turkey stuffing we offer two alternatives that highlight the possibilities of sage. Savory is not well known in California kitchens and we offer this introduction. A pairing of savory with the earthy flavor of roasted eggplant works well with grilled lamb. Our savory and white beans are delicious paired with a mixed grill of radicchio, slabs of garlic bread and spicy sausages. Tarragon is well known in French kitchens and is the queen of “fine herbes” and “bearnaise sauce”. As Californians, we rarely eat such foods but use tarragon in herb salads and on sandwiches. We offer two simple recipes where fat and acid are infused with the strong anise flavor of tarragon. These condiments are used liberally to sauce vegetables, meats and salads. The Kenter Canyon Farms test kitchen uses thyme in everything. The oils in the leaves are used medicinally as well. Thyme has long been used to improve digestive health and infused into skin creams and lotions to promote clear skin. Here we offer a tonic of a soup that restores appetite and digestion for someone feeling poorly and a kind of preservation method for pork belly that will provide great flavors to rustic soups and stews.